This is a like-new Benchmade North Fork folding knife. Only carried a few times. The blade has never been used to cut anything. 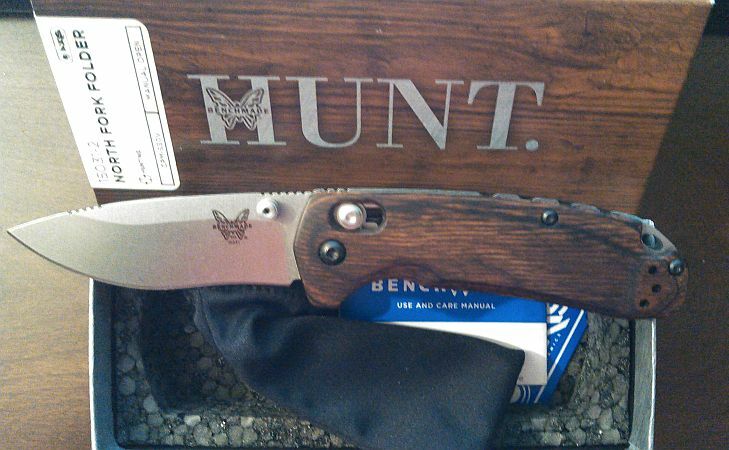 It is a very smooth manual-opening knife, and uses Benchmade's patented AXIS lock system. I like this knife, but it's just a bit large in the handle for me as a pocket-carry and I've got other Benchmade's that I use instead, so I'm putting it up for sale. No dings, chips, etc. MSRP is $165. It's $140 on KnifeCenter or Amazon. Since this is pre-owned I'm asking $75. We can meet FTF in SW Ohio or $5 shipped.